IOCL Bongaigaon Recruitment 2018 – Apply Online for Junior Engineering Assistant Posts: Indian Oil Corporation Limited Bongaigaon (IOCL Bongaigaon) has advertised a notification for the recruitment of 28 posts of Junior Engineering Assistant vacancies. Eligible candidates can apply online from 17-02-2018 to 10-03-2018. 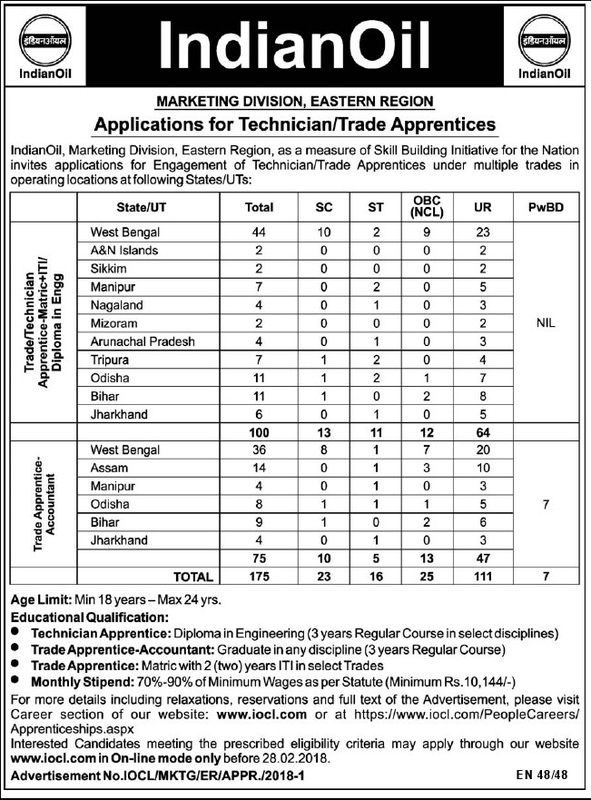 Other details like age limit, educational qualification, selection process & how to apply for IOCL Bongaigaon Jobs are given below. The website will remain open from 17.02.2018 (10:00 Hrs) to 10.03.2018(17:00 Hrs). First of all, Open Official Website i.e., www.iocl.com or Below Mentioned link from www.careers99.com Website.